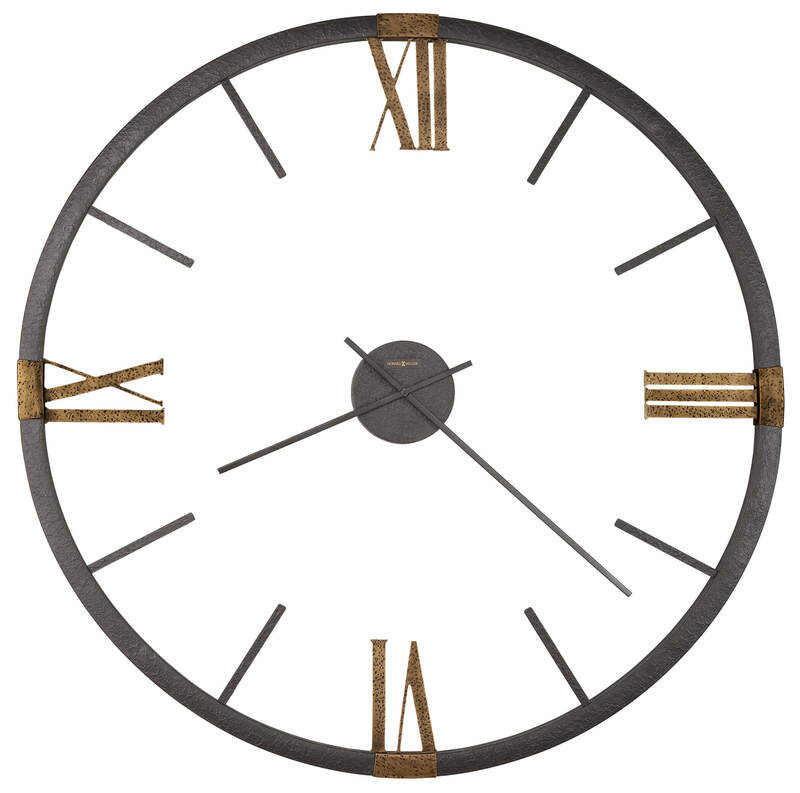 This dramatic 60" oversized metal wall clock features a textured metallic charcoal frame and hour markers with hammered antique gold-finished Roman numerals and decorative bands at the 12, 3, 6, and 9 positions. The simple, straight hour and minute hands are finished in charcoal. 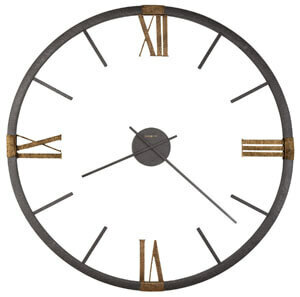 The clock comes in four easy-to-assemble sections plus a separate movement, making it possible to ship via UPS and FedEx. You will save $207.00 (30 %) on this Howard Miller Prospect Park 625-570.